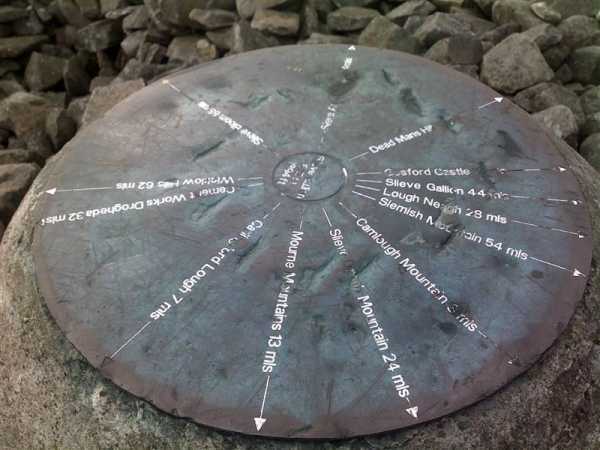 I walked up Slieve Gullion on Friday 12th February & found it to be a pleasant walk with great views from the summit. The visibility was just slightly restricted, though I was still delighted to be able to see Lambay Island to the south, I imagine on the clearest of days the views are fantastic. All in all this was a lovely hill. Once out of the light breeze the silence was complete and the well preserved passage tomb only adds to the enjoyment.